2. If you want to know what’s going on in the community and would like to share your ideas, come to Cathedral Forum next Tuesday, September 16th. The agenda and minutes of the previous meeting were attached to the email version of this newsletter. 3. 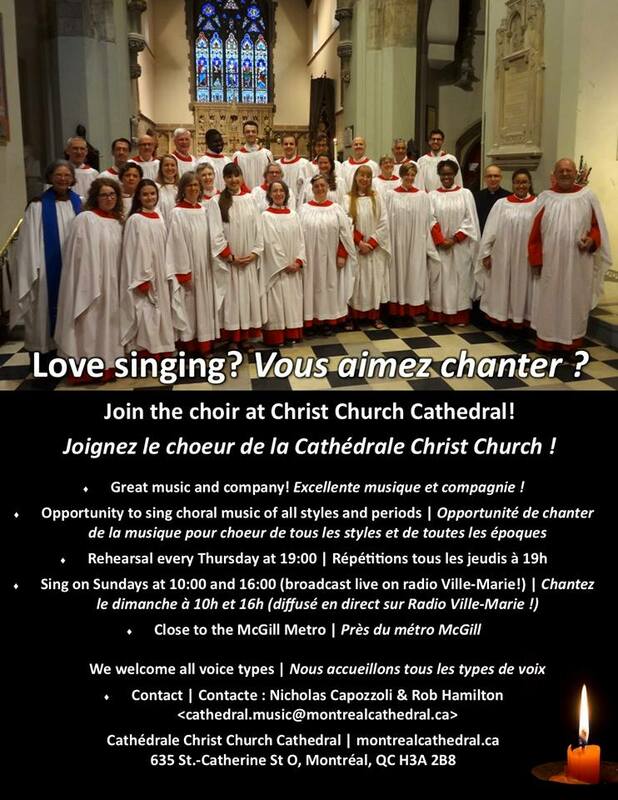 If you like to sing and enjoy good company, consider joining the Cathedral Choir . Nick writes: We welcome singers of all voice types. Whether you are a university student, working professional, or retiree, your gift of music is a valuable contribution to our worship. Even if you are unsure of commitment, come to a rehearsal any Thursday from 7 to 9 PM in the undercroft. In order to advertise throughout the city, please take some posters at coffee hour and distribute them to family and friends. Contact Nicholas Capozzoli or Rob Hamilton with any questions. 4. If you love flowers, please consider donating $60 to sponsor an arrangement on a particular Sunday in memory of someone dear to you, or in thanksgiving for something which has made you happy. Flowers are needed for September 23, October 14 and October 28. 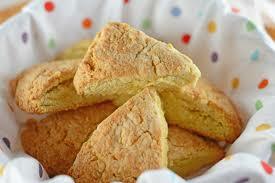 Please speak to Vera Burt, email [email protected] or look for the sign-up sheet in the Baptistery on Sunday. 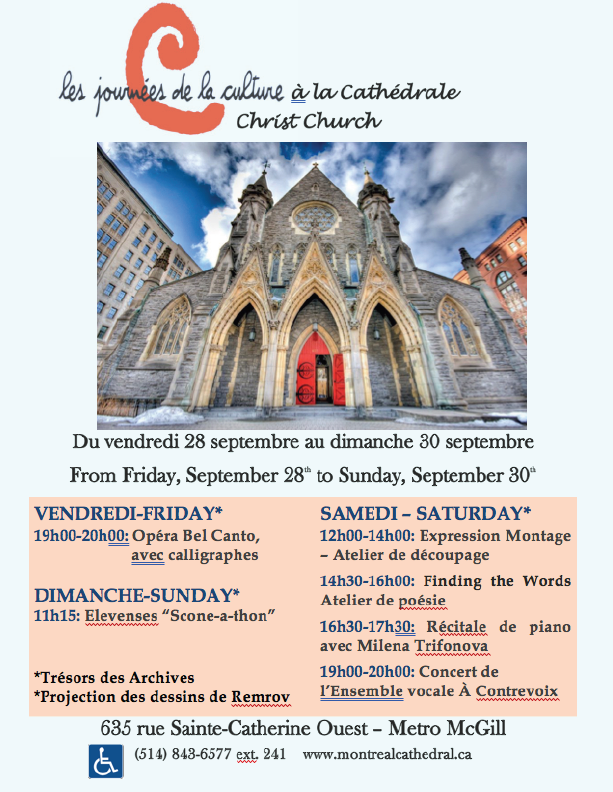 6, If you support the cathedral’s outreach to the people of Montreal and the many tourists who visit the city – and if you just enjoy a good party – come to the cathedral during Les journées de la culture, Friday September 28 to Sunday September 30th. The poster here describes what is on offer. Share it with your friends! On the Friday and Saturday, there will be an exhibition about the cathedral’s history, a video display of Remrov’s amazing drawings, and a demonstration of the organ at a time to be announced, (with a chance to play it yourself). 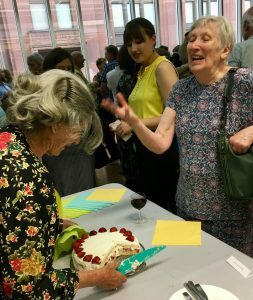 On Saturday afternoon you can express your creativity in a bilingual art workshop featuring collage which will be led by Andrea Videtic, and a mainly English poetry workshop led by Jan Jorgensen. There will be three exciting concerts on Friday evening at 7, Saturday at 4:30 and at Saturday at 7. Sunday will be mostly filled with services and the ordination, but there will be a special “elevenses” of tea and scones served on the forecourt after the 10 am service. Greeters throughout the weekend who can commit to a 2-hourshift, especially Saturday, the 29th between 11am and 9pm. Helpers to make tea and set up for tea and scones on Sunday the 30th during the 10 am service after you’ve taken communion. Phew! That’s a lot of information, but I hope you find something to interest you. One last message, which came to us from the McGill Council on Palliative Care, is an invitation to attend a free public lecture to be given by Dr Ira Byock on Tuesday October 2 at 7:30 pm in Moyse Hall on the McGill campus. 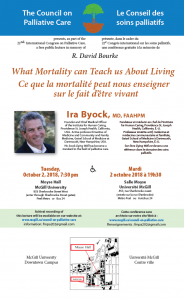 The topic is “What Mortality Can Teach Us About Living”. Those of us in the group who read Atwul Gwande’s book “Being Mortal” this summer might be particularly interested. There are also plans afoot to organise some further discussion on the topic of end of life issues. Ps [by Vivian Lewin] I asked Ann Elbourne whether she was going to report on the fact that she’s one of four lay people in the Diocese chosen to receive this year’s Bishop’s Award for contributions to the life of their parish and to our Diocese—but she said no, she would not. As far as I know, this is the first time she has failed to report an important story about our parish and its work, mission, and people. 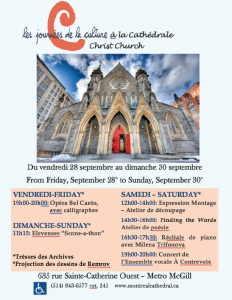 So here’s a link to the Anglican Montreal (see p. 3) and a photo by Natasha Henderson (Ann’s on the right). 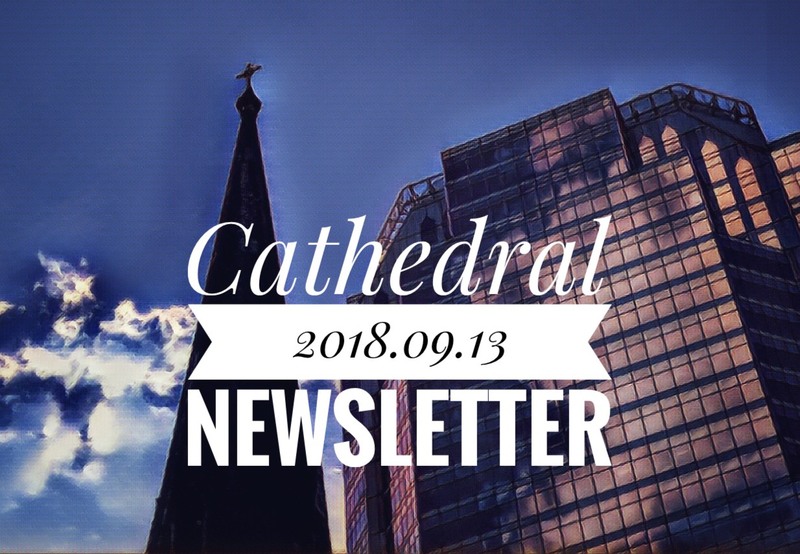 To receive this Newsletter earlier by email, and with it, additions like the Forum agenda, financial updates, minutes and reports, posters, photos, etc., simply send your coordinates to the Cathedral office… the failsafe method is to email both Newsletter author and parish volunteer Ann Elbourne [email protected] and Parish Administrator Elizabeth Shama [email protected]. Subscribe to our diocese’s e-newsletter, published every two weeks. 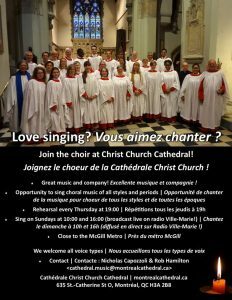 LIKE the Cathedral’s Facebook page and if you want to spread the word, comment on posts and share them.